Popcorn ceilings can make a room appear dated and dark. Fortunately, you can remove all that textured coating to reveal the smoother surface below. Here's how. For a significant chunk of the 20th century, from the 1950s through the ’80s, the ceilings in many new homes—particularly in bedrooms—came with a rough, stippled texture that become known as a “popcorn” finish. People tout the sound-dampening properties of popcorn ceilings, but I think they really caught on for a pretty simple reason: They hide imperfections and made life a little easier for professional builders. One major drawback is that, because they don’t reflect very much light, popcorn ceilings tend to eat up the light in a room. 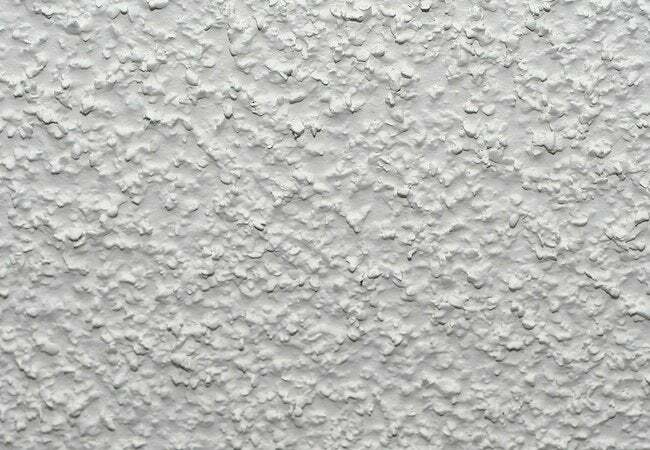 Another con is that many homeowners consider popcorn ceilings to be just plain ugly. 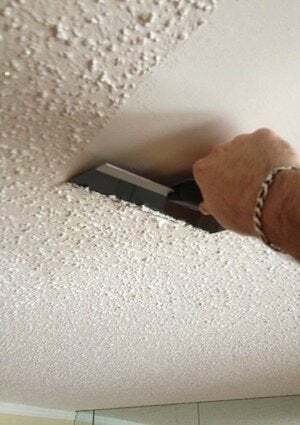 Fortunately, it’s easy to remove popcorn ceilings, and although it can be a very messy and labor-intensive affair, the transformative results can make the effort well worth it. Before doing anything else, it’s critically important that you get the popcorn tested by an EPA-certified laboratory. In homes built before 1982, asbestos was a main ingredient in spray-on ceiling textures. If yours turns out to contain asbestos, then I very strongly advise you to bring in trained professionals who are licensed to deal with hazardous materials. If, on the other hand, the test indicates that your ceiling has a paper-based popcorn treatment, you can handle its removal the do-it-yourself way. Because the process involves water, however, it’s prudent to cut electrical power to the room where you’re going to be working. There’s no getting around it: To remove a popcorn ceiling, you’ve got to make a mess. By properly preparing the room beforehand, however, you can minimize the amount of cleanup required once the project is completed. After you have removed all furniture from the room, cover the floor—and the bottom 16 inches of each wall—with thick plastic sheeting. Secure that sheeting in place with masking tape. Upper walls too must be protected; do so by applying a strip of tape around the perimeter of the room, one quarter-inch below the ceiling. Then fasten plastic sheeting to that initial strip by means of an additional tape layer. Bear in mind that ceiling fixtures may hinder progress, so if there’s a ceiling fan, medallion molding, or hanging light fixture in the room, you may wish to take it down at this early stage. Divide the ceiling into four-foot-square sections. Next, using the garden sprayer, thoroughly moisten the initial section, letting the water soak in for 10 or 15 minutes. After enough time has elapsed, position the ladder under the moistened section, put on your dust mask and protective goggles, then climb up. Holding a putty knife at a 30-degree angle to the ceiling, commence scraping the popcorn away. The method is to spray, wait, and then scrape. In this manner, work your way around the room, one section at a time. Continue until you have removed the popcorn ceiling to reveal the drywall surface beneath. Given that you’ve put so much work into preparing the room, fastidiously covering the walls and floor with plastic sheeting, now would be an opportune moment to prime and paint the ceiling. If you decide to go this route, wait until the final coat has dried before removing the sheeting. But whatever you decide, don’t forget to reinstall ceiling fixtures and restore power to the room. In the newly popcorn-free space, you should notice that everything seems a lot brighter. Isn’t that so? Enjoy it!